The Department of General Practice is delighted to announce the appointment of Professor Lena Sanci as the new Head, Department of General Practice. In addition to this wonderful news, we warmly congratulate Professor Sanci on her recent promotion to the position of full professor. 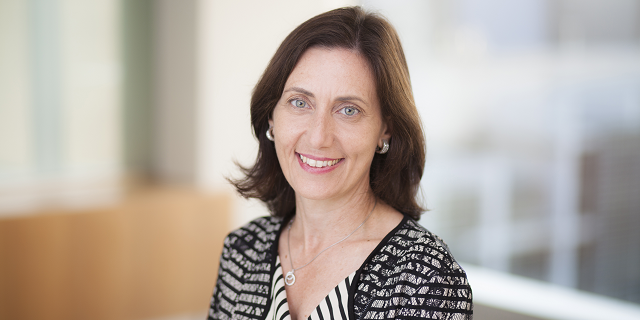 Professor Sanci’s association with the University of Melbourne commenced in 1988 when she completed a Bachelor of Medicine, Bachelor of Surgery (MBBS), followed by a Doctor of Philosophy (PhD) in adolescent health care in 2000, also undertaken at the University of Melbourne in the Department of Paediatrics. Professor Sanci has been involved in leadership of the Department since her appointment in 2010, as Deputy Head of the Department and Director of Teaching and Learning. More recently, Professor Sanci became Chair of VicReN, the Victorian practice-based research network. She assumed the position of interim Head of Department early this year. Professor Sanci has led the children and young people’s research theme within the Department of General Practice Primary Care Research Unit since 2006. Her research interests focus on improving the health and well-being of children and young people through primary care, and its integration with other parts of the health, education, and welfare sectors. Professor Sanci has had an extremely busy year with significant research achievements. In conjunction with colleagues from the Department of Paediatrics, the Centre for Youth Mental Health, and Melbourne Graduate School of Education, Professor Sanci has been awarded the tender to deliver training to General Practitioners and Practice Nurses involved in the Doctors in Secondary Schools Program on behalf of the Victorian Department of Education and Training. Partnering with a leading group of experts in the field of young people’s health (Royal Children’s Hospital, Headspace, Family Planning Victoria (FPV), Foundation House, and the Youth Support and Advocacy Service), the training program involves both training and clinical support. The Doctors in Secondary Schools Program funds General Practitioners and nurses to attend Victorian government secondary schools up to one day a week to provide medical advice and health care to students most in need. BUPA Health Foundation - Toward the health promoting university: enhancing the student experience and academic outcomes. Sanci L, Gunn J, Tarzia L, Chondros P, Minas H, Russell M, Kakuma R. 2017-2018. NHMRC CRE - Centre of Research Excellence in Childhood Adversity and Associated Depression and Anxiety. Hiscock H, Jorm A, Goldfeld S, Fisher J, Reupert A, Eastwood J, Sanci L, Yap M, Dalziel K, Eapen V. National Health and Medical Research Council. 2018- 2023. NHMRC Partnership - Implementation of an integrated model of chlamydia case management in general practice. Hocking J, Sanci L, Guy R, Fairley C, Temple-Smith M, Regan D, Carvahlo N, Simpson J, Donovan B. National Health and Medical Research Council. 2018-2023. The Department would like to acknowledge and commend Professor Sanci for her passion, hard work and dedication to primary care research and teaching. We are committed to achieving the Department vision under Professor Sanci’s leadership.